Psychologist Cal Henderson has made a good life in Washington D.C. He has a busy practice, good friends, and big plans for the future. But he can't escape a terrible secret. When he was a boy, his mother murdered his father and two brothers and severely wounded Cal's best friend, Scottie Glass. Desperate to keep the nightmare at bay, Cal has turned his back on everything that happened that night. Like a blue-sky tornado, Scottie drops back into Cal's life. Edgy, paranoid, but somehow still the loveable kid he once was, Scottie pulls Cal out of his shell. It's a shaky friendship, built on nothing but crushing memories. Still there is one thing they agree on: Cal's mother couldn't have been a murderer. She loved them all too much, a glow that continues to shine twenty-five years later. Cal and Scottie set off to dig up the real story. It's a journey of smarmy yes-men, grasping government lawyers, and scorpion-like empire builders. And there's Jamie Weston, a clumsy, beautiful FBI agent, maddeningly indecipherable to Cal. It's the real Washington, where ordinary people ride the Metro next to the most powerful, and the schemes and backstabbing can bring ruin around any corner. The Survivors is at times warm and humorous, at times devastating in its portrayal of the damage left by childhood trauma. Heroism here is facing the past full-on, even when it is the most painful thing imaginable. "Do you think you know what your own mother might do? The Survivors is an up-close and personal mystery—the best suspense I've read this year. It will haunt you." 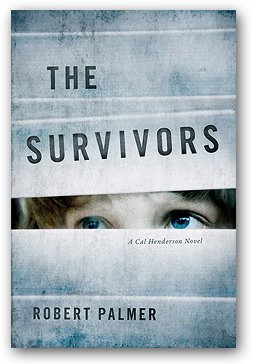 "The Survivors is the very definition of a page-turner." "The Survivors is sharply plotted and riveting—deliciously spiced with all the ingredients that make for masterful suspense."